Norway not only has a rich maritime heritage, but its citizens have also consistently demonstrateda thirst and tenacity for adventure. 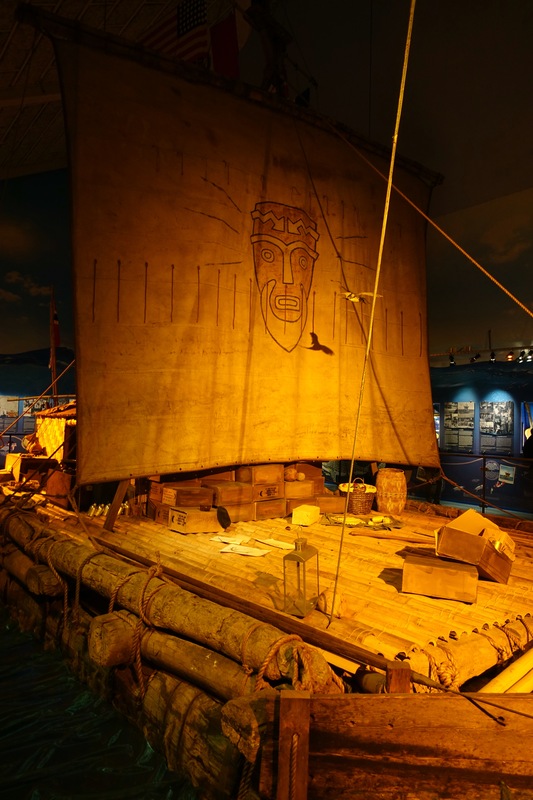 We visited museums dedicated to two of such explorations, and the Kon-Tiki Museum and the Fram Museum. An explorer named Thor Heyerdal developed a theory that Polynesia was settled by inhabitants from South America. According to an Incan legend, there was a sun-god named Con-Tici Viracocha who was the leader of a mythical fair-skin tribe from Peru. His people were nearly massacred during battle on an island in Lake Titicaca when Chief Cari from the Coquimbo Valley came to call. Con-Tici managed to escape with some close companions and disappeared westward out to sea. In an effort to prove this myth, and demonstrate the plausibility that Polynesians and Peruvians exhibited common traits (such that they shared fair skin coloring generations ago), Thor and five other companions set out on an expedition. The raft was made out of balsa logs and other native materials in the traditional indigenous style documented by the Spanish Conquistadors. After being towed out to sea on April 28, 1947 and being left to the mercy of the wind and currents, they traveled a distance of 4,300 miles in 101 days across the Pacific Ocean before smashing into a reef in Raroia in the Tuamoto Islands on August 7, 1947. Against all odds, and defying expert options that each crew member was facing ultimate death, successful landfall was achieved. It’s hard for me to imagine how brave and courageous these men had to be. Not only did anthropologists dismiss Thor’s theories as impossible, but each member had to withstand the pressure and burden of knowing that everyone thought they would perish. 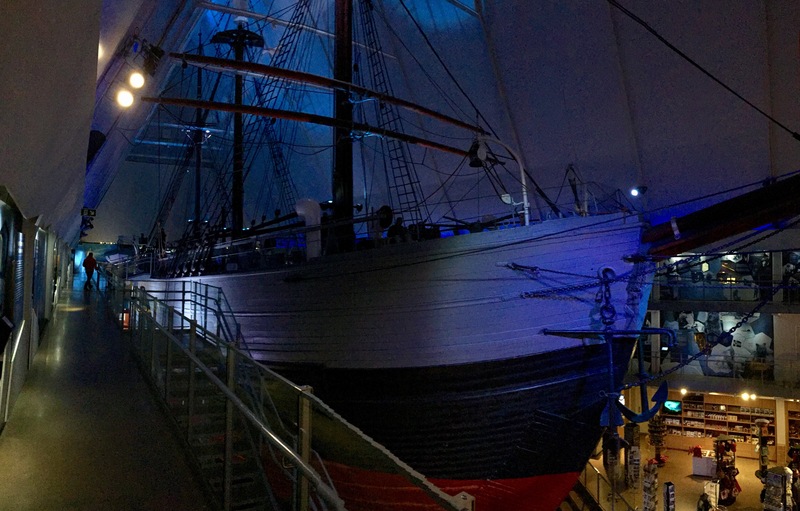 Another historical vessel we had the wonderful opportunity to board and explore was the Fram Polar Ship. The captain, Fridtjof Nansen’s ambition was to explore the Artic further north than anyone else. 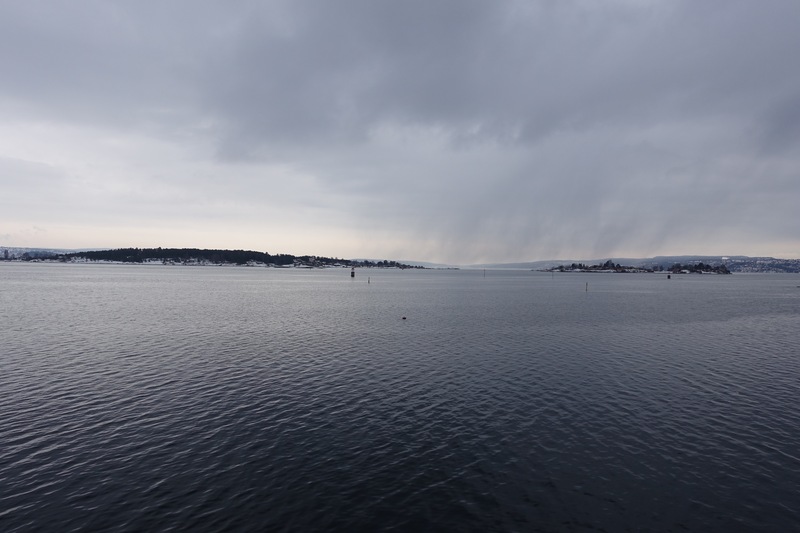 From the beginning, he planned the for wooden ship to freeze in a polar ice sheet and float with it over the Noth Pole. In order to accomplish this, several creative and technologically advance design changes were made to what would have otherwise been a traditional wooden ship. The hull was built unusually wide and atypically shallow. This allowed do the force of the pressing ice to push the ship up to “float” on top of it rather than being crushed by it. Additionally, the ship had almost no keel to handle shallow waters, while the rudder and propeller were designed to be retracted. The outer layer of greenheart wood provided for a strong hull, and careful insulation decisions were made so that the crew could live on board for a maximum time of five years. The inclusion of a windmill allowed the ship to generate its own electricity. The Fram Polar ship was in service from 1893 to 1912, and is said to have sailed further north and further south than any other wooden ship.